Contemporary art installations have always been an integral part of Axolotl. It is therefore with great pleasure that today we launch AAP - Axolotl Art Projects, a dedicated consultancy to specifically project manage commissioned artworks. From concept through to a fully resolved piece, AAP partners with architects, designers, developers, councils and artists to be the key liaison for any scale of project. 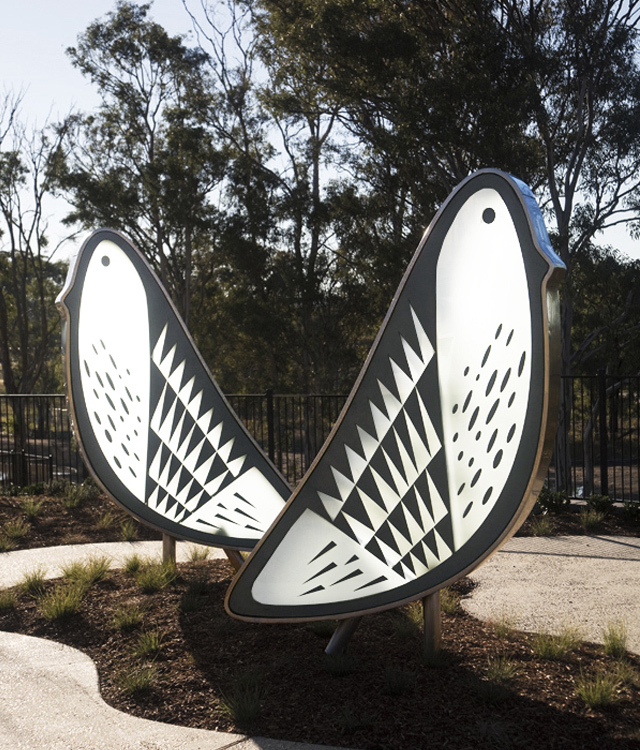 AAP offers a unique full-service approach to commissioning artwork and creative design solutions, yet are flexible in their level of involvement and role in the art project. Axolotl's involvement can start and finish at any point in the production spectrum, including art strategy, artist selection, concept design, design development, engineering, documentation and fabrication. With Axolotl's unique manufacturing abilities and palette of materials in metal, concrete, glass and timber, artists have a virtually unrestricted freedom to create works that they may not have originally thought possible.